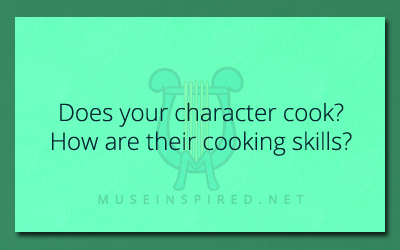 Character Development – Do they cook? Does this character cook? How are their cooking skills? Character Development - Is your character a day person or a night person?